1. 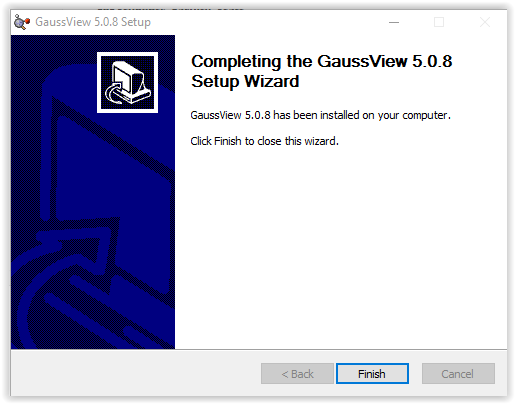 Log into TigerWare and open the GaussView download. You can choose the 32-bit or the 64-bit. 2. When the zip folder opens, double click on the Setup.exe file. 3. 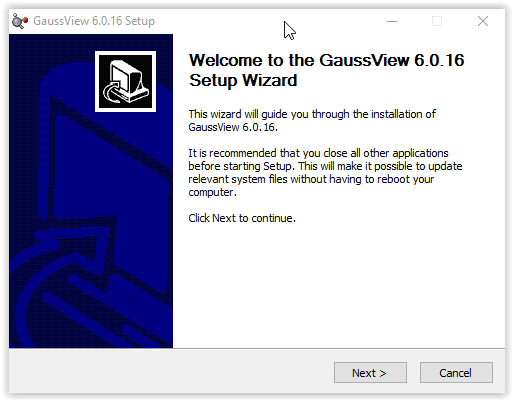 The GaussView setup wizard will open. Click Next. 4. 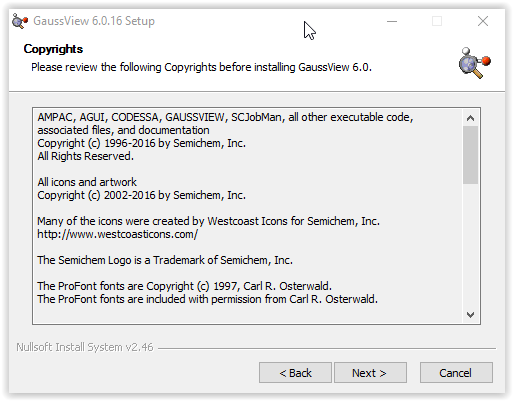 Read through the copyrights listed in the window and click Next. 5. 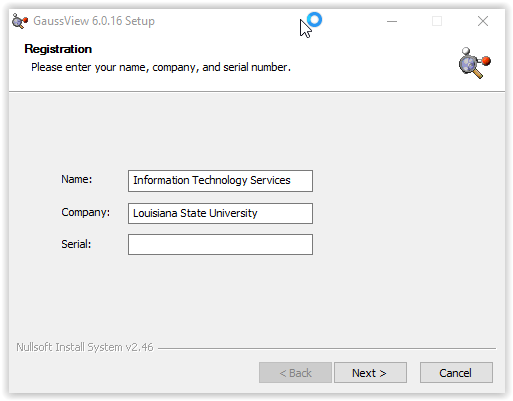 Enter your name, company, and serial number, then click Next. 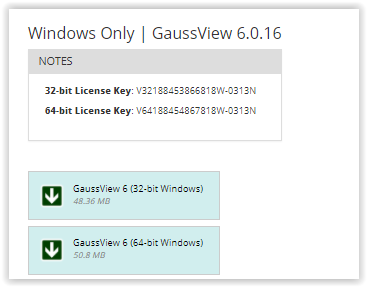 NOTE: The Serial number can be found on the GaussView Tigerware entry. 6. 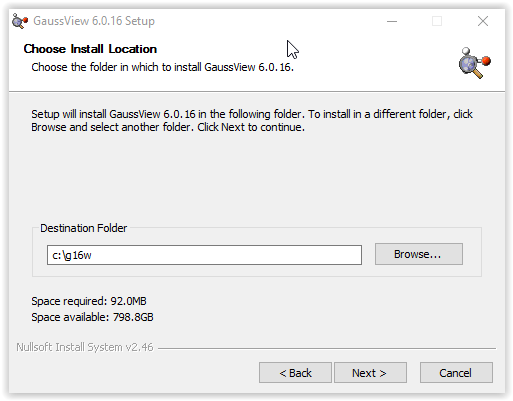 Choose a folder for the install location of the GaussView files. Click Next. 7. 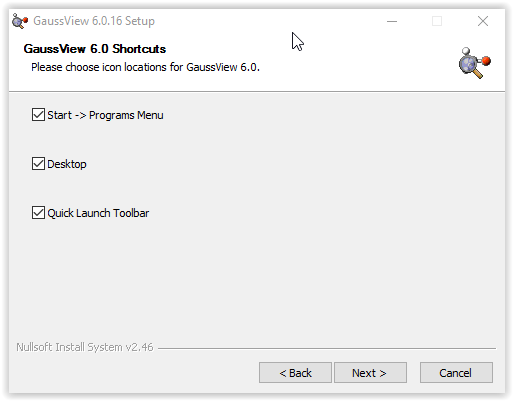 Choose locations for the Gaussview icons and click Next. 8. 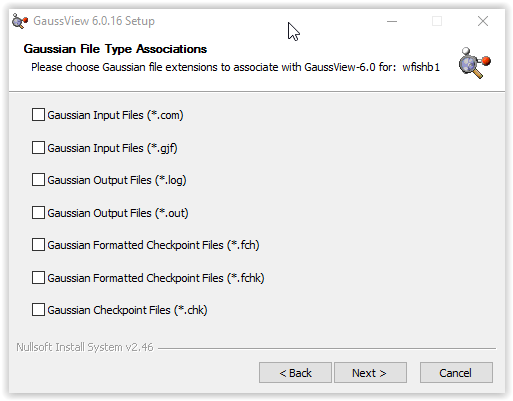 Choose Gaussian file extensions to associate with Gaussview then click next. 9. 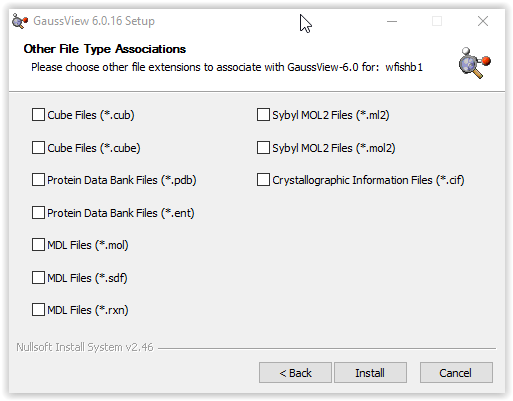 Choose other file extensions to add to the Gaussview program then click Install. 10. Click Finish to complete the process.